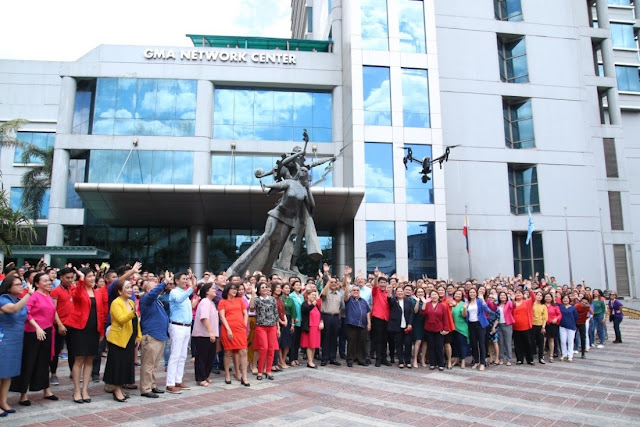 As a tribute to its beloved viewers, GMA proudly presents its new station ID (SID) dubbed, “Buong Puso para sa Kapuso,” featuring moments in GMA Network’s history and personalities past and present that have touched Filipinos’ lives for decades. The SID shows the Network’s journey from a small radio station founded by Robert “Uncle Bob” Stewart to the country’s most respected, most trusted, and recognized media network. Moreover, it highlights what being a Kapuso truly means – pouring your whole heart into everything you do for the people you love because they deserve nothing less. “We celebrate our success story and our shared values with our viewers who have been with us through the years. I hope our story serves as an inspiration to every Filipino striving to succeed in life and provide a better future for the people they love,” said GMA Network Chairman and CEO Felipe L. Gozon. 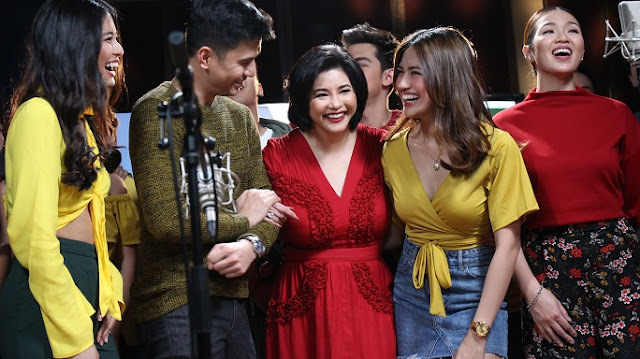 Also making the SID more colorful are the biggest Kapuso celebrities and the Network’s employees who came together and took part in the production of the SID, wearing vibrant outfits and beaming with smiles. Internationally acclaimed broadcast journalist and GMA News Pillar Jessica Soho takes to heart the true essence of being a Kapuso. “Bilang Kapuso, isinasabuhay namin ang aming panatang magbigay ng tapat na balita at impormasyon sa ngalan ng Serbisyong Totoo,” said Jessica, who is a home-grown Kapuso. Kapuso Primetime King Dingdong Dantes shared why he does everything for the viewers. “Yun talaga ‘yung essence ng pagiging Kapuso eh, ‘yung pagpapakita ng warmth sa isa’t isa. Minsan lang mangyari ito at ginagawa namin lahat ng ito para sa mga manonood,” Dingdong said. Primetime Queen Marian Rivera, on the other hand, showed appreciation for the time she spent together with her fellow artists. “Ang saya na makita ko muli ang mga kapwa ko artista na nagsama-sama para sa mga Kapuso natin,” Marian said. Asia’s Songbird Regine Velasquez shared her experience in recording the SID jingle with new Kapuso talents. “I am always excited to sing with other artists. I am flattered how these young talents look up to me,” Regine said. Catch the much-awaited premiere of GMA Network’s latest station ID “Buong Puso para sa Kapuso” tonight after 24 Oras.